The mission of the Friends of Panthertown is to work in partnership with the USDA Forest Service to conserve this outstanding natural resource while improving the quality and experience of recreational opportunities in Panthertown Valley. The mission of the Friends of Panthertown is to work in partnership with the U.S. Forest Service to conserve the quality and experience of recreational opportunities in Panthertown Valley, a popular 6,295-acre backcountry recreation area in the Nantahala National Forest. 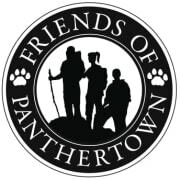 Would you recommend Friends of Panthertown?